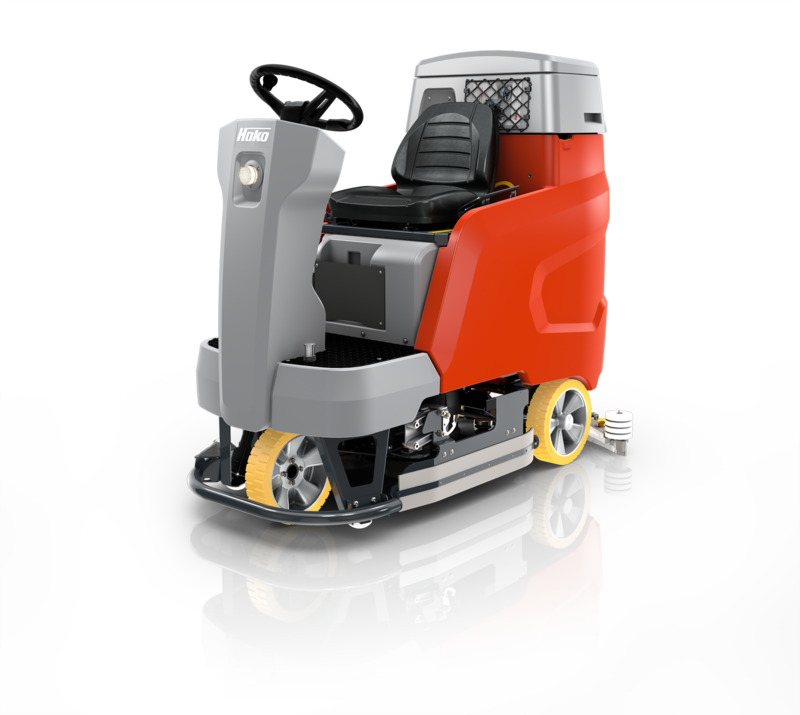 The Scrubmaster B310 R floor scrubber with two disc brushes ensures a high degree of effectiveness thanks to the direct drive via two electro motors (IP 54) protected against water spray. 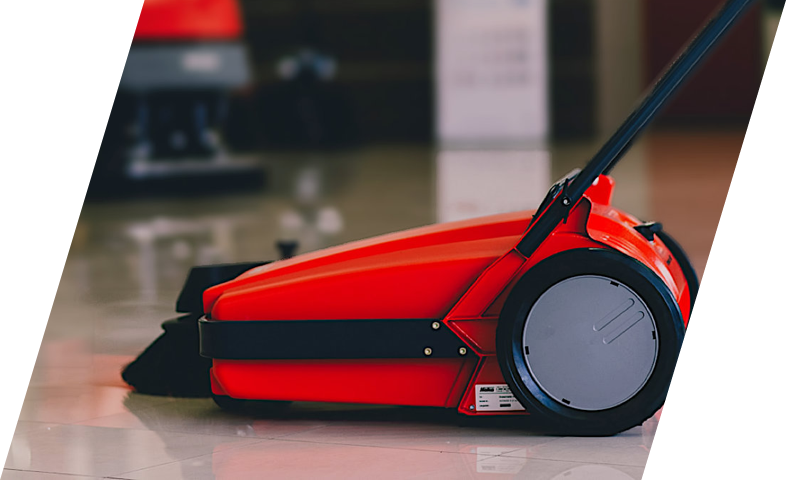 As the result of a movable suspension and a wide coverage, the scrubbing brushes can be adapted well to uneven floors. 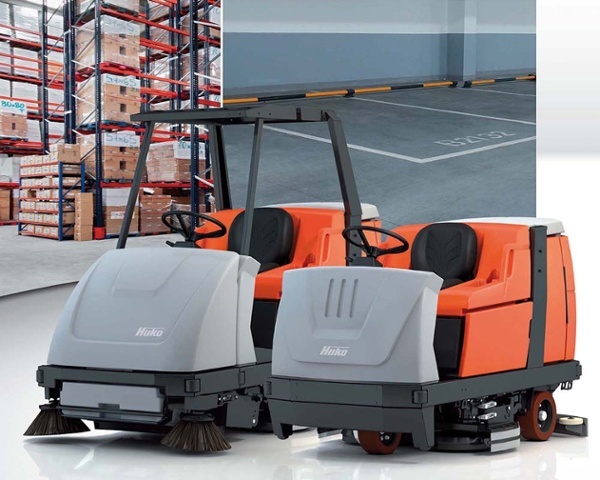 In addition the (optional) side scrubbing unit, mounted on the right, ensures cleanliness in edge areas while increasing the working width from 102 cm to 118 cm. 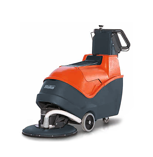 The cylindrical brush unit is an appropriate solution when particularly rough or structured floors have to be cleaned. Not only does the cylindrical brush unit scrub the floor over a working width of 96 cm particularly intensively, but it also offers an integrated sweeping function. In doing so the dirt is collected in a separate dirt hopper. As an option the cylindrical brush unit can be extended by two additional side sweeping brushes. 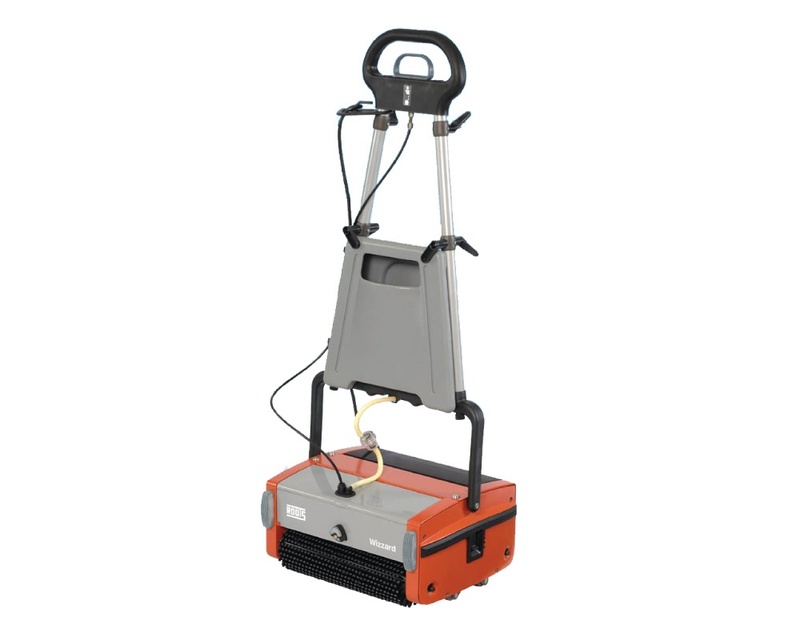 They enable the collection of coarse and fine dirt over the complete squeegee width = two operations become one! 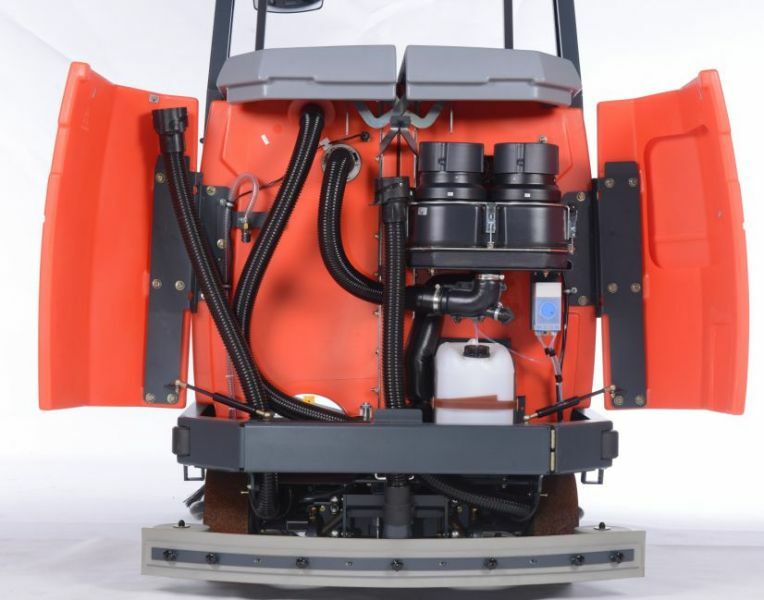 Both versions have 2 x powerful three stage suction turbine motors and the parabolic shaped squeegee with oscillating suspension ensure that the dirty water retrieval is thorough consistently over uneven floors to leave a virtually dry surface. Thanks to the electronic drive control of the gear motor on the steerable front wheel, the battery electric drive allows an infinitely adjustable drive speed of between 0 and 8.2 km/h. 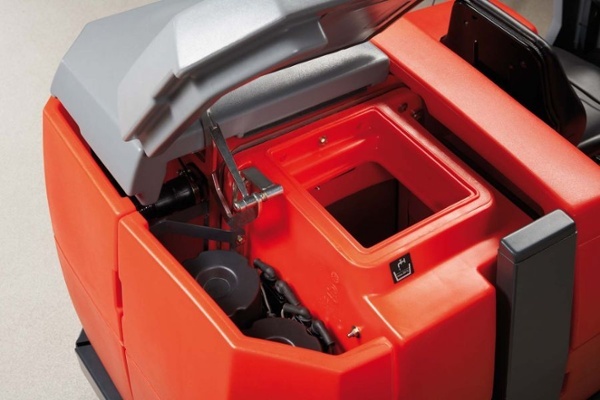 The maximum drive speed can be programmed individually.In addition the powerful motor offers power reserves for gradients of up to 15 degrees - which means that the cleaning of sites such as multi-storey car parks is no problem. The powerful battery enables a particularly long running time with only one battery charge. 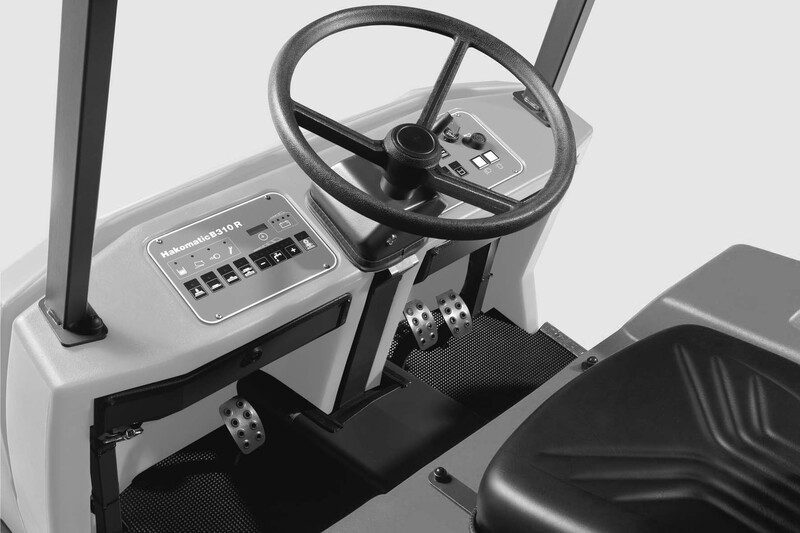 Other features include the operator-friendly Scrubmaster Green One Button switch and the Hako Aqua Control System. 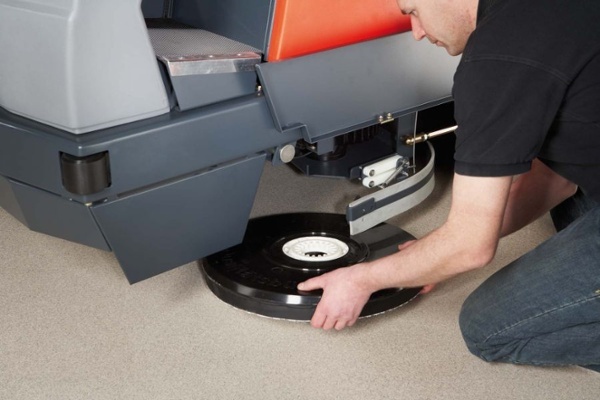 Intensive scrubbing and a perfectly clean, dry floor in one operation all whilst seated comfortably. 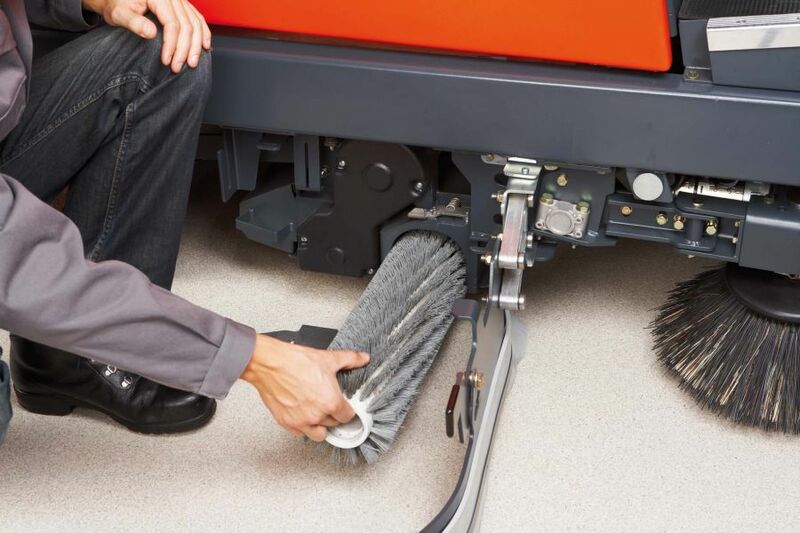 Designed for large area cleaning, the Scrubmaster B310 R comes in two versions - The Scrubmaster B310R TB1020 with disc scrubbing brushes and a 102cm cleaning width and the Scrubmaster B310 R WB 960 with cylindrical brush with a 96cm cleaning width. 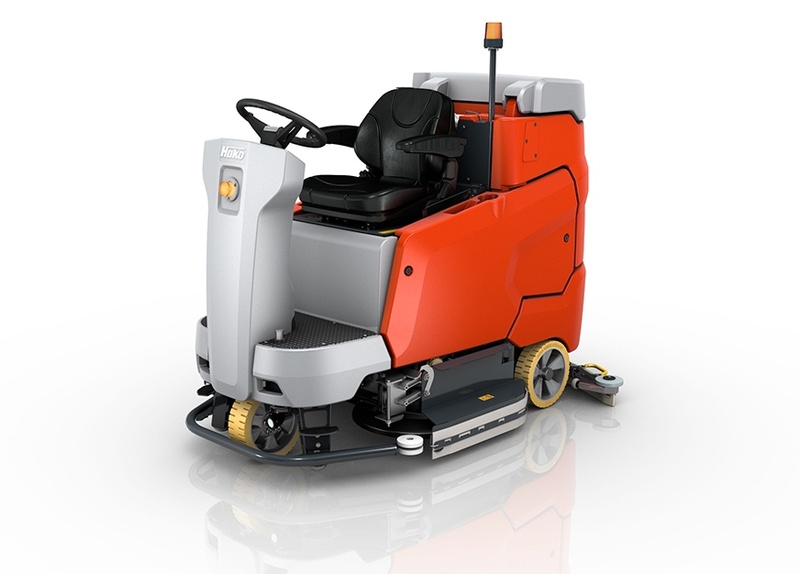 With a maximum area performance of up to 7,800 sq m/hour, the Scrubmaster B310 R (with option of larger 18 cm cleaning width) is ideal for use in shopping centres, multi-storey car parks or on warehouse and industrial site floors.